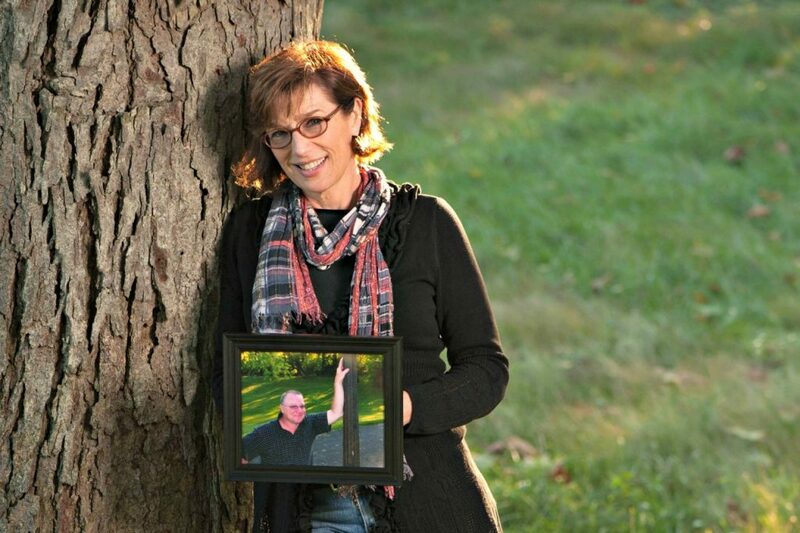 On Tuesday, October 5, 2010, my husband Keith died doing what he loved – operating his backhoe, digging out the pond. Keith enjoyed physical activity, working with his hands and getting the job done. There was no need to call any repairman, landscaper, mechanic, plumber, electrician, or carpenter because Keith could do it. He was the “go-to guy” who was always helping others. About 10 years ago, Keith decided to start growing grapes and making homemade wine. That’s when Keith found his bliss, eventually bottling nearly 700 bottles of wine in one year. He also found pleasure in making jelly and canning tomatoes from our garden. Anyone in contact with Keith (including doctors, bankers, and cashiers) received jelly, wine, or both. We knew that we were blessed to love each other and grow together for more than 20 years. As strange as it sounds, the weekend before Keith’s death, we discussed the things I would need to know in the event of his death. We explored everything, including organ and tissue donation. Keith immediately embraced the logic of donation, wanting to help others after his death. Keith said to me, “Why let good organs go to waste? ” We had that conversation on Sunday, and Keith died on Tuesday. I was blessed by the events of that prophetic weekend and truly honored by the ability to grant Keith’s wishes to impact so many lives through organ and tissue donation.